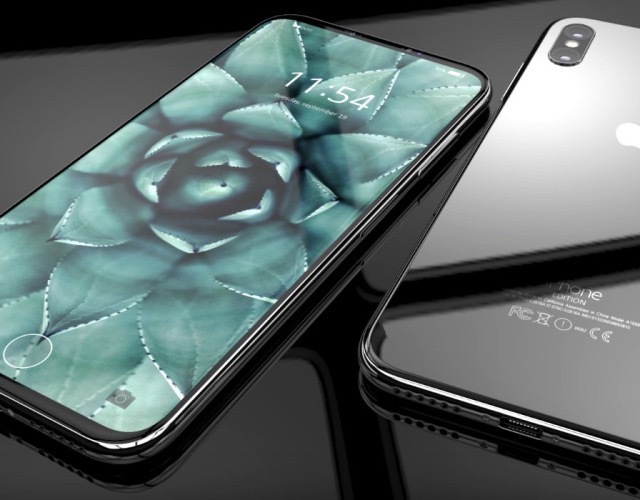 The “sense of panic” described in the article relates to the software that controls the iPhone 8’s wireless charging, the software for the rumored front-facing 3D camera, and of course, we have the obligatory Touch ID or no Touch ID debate that keeps coming up. Most of the angst seems to be centered around the limited time remaining before the iPhone must be put in production. The only alternatives if solutions aren’t found quickly are shipping the with features missing or disabled pending a later update, or delaying the release of the phone. I honestly have little interest in the legitimacy of these rumors or of Mr Sullivan’s source. Maybe this article is 100% correct, maybe it isn’t. 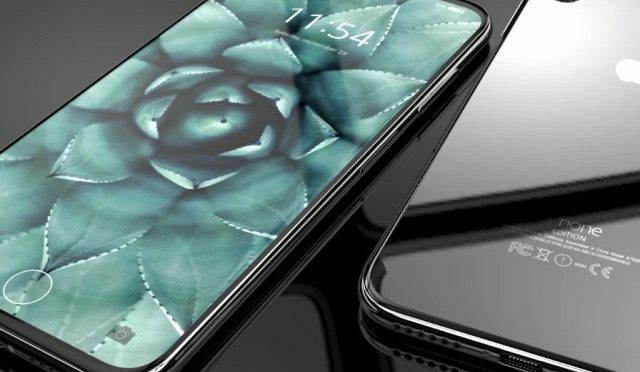 We are getting to the point in the Summer where the rumors should start to become more consistent with the final shipping version of the iPhone 8, but I still think we aren’t close enough to get a clear picture of this new phone yet. As far as I’m concerned, this isn’t what’s interesting about this article. What really struck me about it is the idea of engineers, programmers, and designers at Apple panicking over a product in 2017. When you look back over the fairly conservative pacing of the iPhone and iOS over the last 10 years, panic isn’t a word that typically comes to mind. When you look at Apple’s stock price and unbelievable cash position, panic seems almost absurd. However, Apple isn’t taking the conservative approach here, and they know that their reputation is on the line. If that takes a hit because this release doesn’t go smoothly, that stock price will take a hit, as well, and everyone knows it. With that in mind, fresh off of the ten year anniversaries of the announcement, and later the release, of the original iPhone, and all of the interviews and articles with first-hand accounts of its development, panic is exactly what comes to mind right now. As part of the 10 year anniversary, we heard stories about how Apple employees had to compete and fight to see their ideas included in that phone. We read about the “forced march” of long and grueling days that took the original iPhone OS from raw concepts and a loose collection of interface ideas to a real, tangible version of OS X cut down for a handheld device in just two weeks. Stories of how people were living out of hotel rooms and other people’s houses because they were working so many hours that others at the company didn’t want them driving home. We now know that the team behind the device was taking shots in the front rows of the auditorium as each of the features demoed on stage at the unveiling passed with flying colors. We know that there were only a couple of working devices that day, and that they crashed if a set sequence wasn’t followed during demonstrations. We also know that the same team took that buggy alpha hardware and software and had it ready for full release just a few months later. We know all of this now, ten years later. You had better believe that panic played a role in the development of the original iPhone and iPhone OS. Panic can be a powerful thing. It definitely can be detrimental, if the situation isn’t right. If the right people aren’t in place. If the leadership isn’t adequate. However, we see MANY examples in the story of the original iPhone of how that same emotion can be harnessed as a driving force that focuses effort and brings people together to push beyond their boundaries in the right situation. The stories of the original iPhone show us that a “sense of panic” in the right context can be a great and powerful motivator that leads to a positive outcome. We DON’T know what is happening inside of Apple right now. We don’t know if the people and processes are in place to make magic happen once again, and we really won’t know until Tim Cook takes the stage and starts to show us this new device. It won’t take long for us to find out if Apple pulled out all the stops, or couldn’t quite make it this time, and had to pull back. What we see at this iPhone 8’s unveiling will give us a lot of insight on where the Apple of today measures up to the Apple of ten years ago under Steve Jobs. No pressure there, right? But that’s the idea, isn’t it? This pressure that Apple has been comfortable inviting on itself for the last ten years is certainly the source of this “sense of panic.” With this release, they have put the pressure on themselves in a bigger way than any time since that original iPhone release. However, maybe this pressure and the panic it breeds can once again also be the source of great things. So don’t fret, Apple fans. Maybe a little panic is exactly what Apple needs to get lightning to strike a second time. What do you think about Mr Sullivan’s article? Do you think there is panic at Apple right now? If so, where do you think it will lead? Let me know in the Comments section below, on Flipboard, on our Facebook page, or on Twitter @iPadInsightBlog.